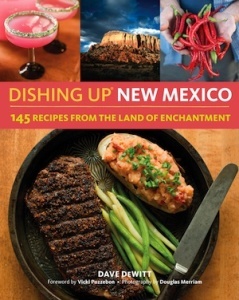 From my new book, Dishing up New Mexico, here’s a wonderful lamb recipe from my friend Chef Matt Yohalem. Season the lamb breast with salt, pepper, 1/2 the cumin and a little chopped garlic and half the lemon zest. 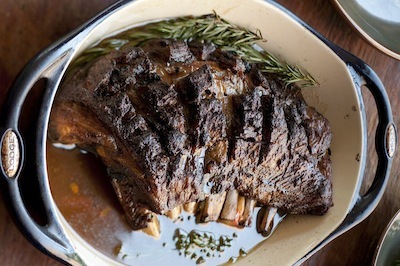 Place on a roasting rack in a roasting pan and roast for an hour and remove from oven. Add the onions, carrots, and celery to the roasting pan, stir with the pan drippings, and return the lamb breast to the oven and roast for 45 minutes. Remove from oven. The Glaze: In a bowl, combine the pan liquids, half the honey and half the cumin. 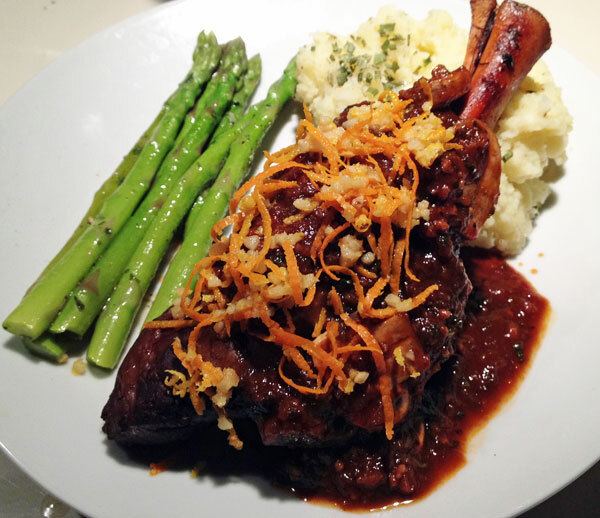 Remove the roasting rack, cover the lamb with the honey mixture, cover with aluminum foil and roast for 1 1 1/2 hours. 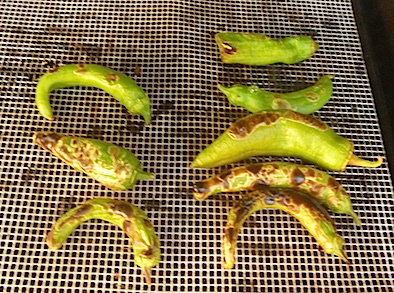 Raise the heat to 450 degrees, remove the aluminum foil, add remaining honey and cumin, and roast for 15 minutes. Remove from oven. Let cool slightly and cut the ribs, they should cut easily. Serve with pan juices and either egg noodles or mashed potatoes.